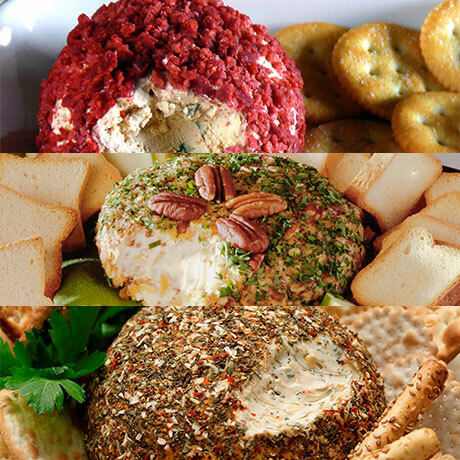 A great tasting blend of spices come together to form an explosion of flavor when combined with cream cheese. Makes a great gift! Includes one packet of each: Jalapeño Garlic Cheese Ball Mix, Taste of Tuscany Cheese Ball Mix, and Gusto Garlic Pesto Cheese Ball Mix. Each packet serves 8.